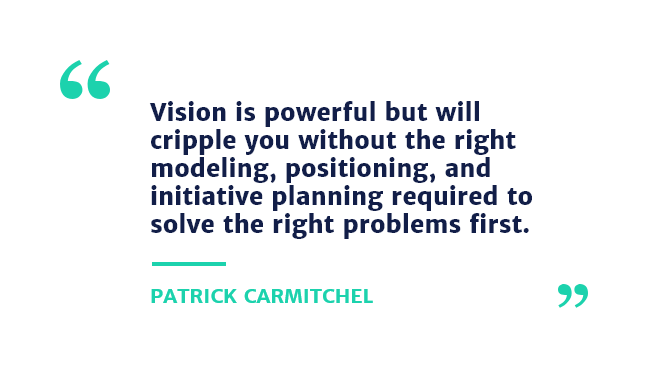 For over 10 years, Patrick Carmitchel has been solving meaningful problems with innovative teams and technologies from startups to enterprises. He transforms vision into actionable plans and effective go to market strategies. Currently, he is the VP of Product Management at TSIA (Technology Services Industry Association). He enjoys building personally responsible teams, navigating diverse personalities, driving measurable results, and unlocking customer loyalty with surprisingly delightful experiences. Overall, he loves the product journey of solving challenging business objectives. How does one break into Product Management when every role seems to demand 5 years of experience, even out of business school? Keep knocking and learning – the door will open. If you are a great learner, that means you are a great listener. 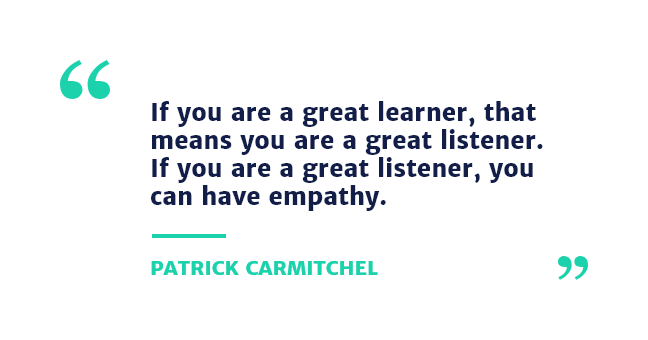 If you are a great listener, you can have empathy. Empathy is the most important ingredient in a Product Manager. Find great Product Managers, seek their insight out like you are today, make your passion known, and ask for referrals to the companies that inspire you. Even if you have to start by getting an analyst or project management role, you’ll find a way to Product Management. 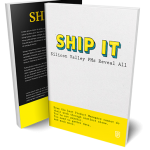 What advice can you give to new Product Managers that are starting at a new company or working on a new product? What are the first few things you do to build a foundation for success in the future? Talk to your customers. Create a meaningful way to capture the qualitative insight you get from those conversations. After you have about 15-20 unique conversations, you will start to become an expert on their challenges, the way your solution addresses those challenges and the prioritized list of ways your solution can evolve to address those challenges more efficiently. How much tech knowledge would you say is necessary for a PM to have? That depends on the product you will be managing, the team you will work with and the company culture. I would suggest that any Product Manager of a SaaS solution be able to understand the fundamentals of UI/UX, the development lifecycle and front end/back end code. They must also be able to manage collaborative discussions with a cross-functional team of designers, developers, marketers, and business stakeholders to understand the user as well as the economic impact of their decisions. What advice would you give to a marketer going for a Digital Product Owner interview? Depending on the technical requirements of the role, you may need to level up on your skillset or communicate how you plan to do so to support the role. Product Management requires good business acumen and marketing is a very common place to start. Knowing the market is critical to solving the right problem at the right time, so you have that advantage. As a new PM, I often find it difficult to identify and propose what to build next or what pain point to address. Do you have any prioritization frameworks that you have identified over time? Sounds like you need to mature your process with a scorecard. 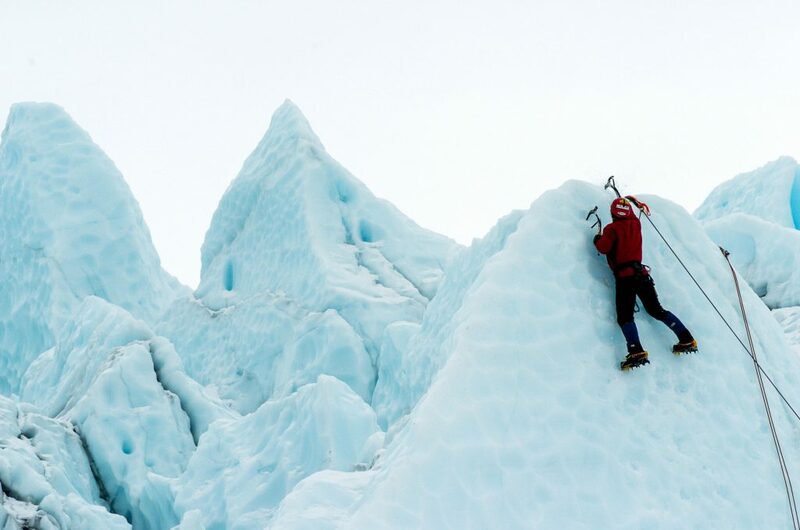 You’ll want to look at core factors like a features effort and impact by considering potential increase in revenue, adoption, expansion, renewal, while considering the development effort, go to market effort across functions, and continuous support and maintenance of a feature for it to accomplish the goal and delight customers. I suggest using a quality tool like Aha! to manage this process. What advice do you have for someone currently in the process of transforming their vision/strategy into a product roadmap? It’s great to start by breaking your vision down into the people, process, and technology you’ll need to achieve it over time. Vision is powerful but will cripple you without the right modeling, positioning, and initiative planning required to solve the right problems first. I suggest using a Product Management framework and/or software to bridge the gap between vision and roadmap. Aha! roadmap software does a great job doing just that, but there are several others out there. Your vision should be broken down into the business modeling components that are required to prioritize feature development based on the material impact it will have on the experience and business. Personas, competitive analysis, SWOT, positioning, and differentiation are the fundamentals that impact the roadmap. I’m getting ready to build an MVP/demo/prototype for potential partners. We’re trying to build something low cost that will demo the basic capabilities and “wow” stakeholders. Any advice? The most important factor at this stage is solving a clear problem for a clear buyer that can be proven and expanded into additional markets (that’s what the investors are looking for). As long as you have real users that are proving your model, feel free to share it with investors. What advice do you have about the importance of publishing and sharing content about a new product, in terms of making it consumable information as well as competitive analysis publications? This sounds like a great question for a product evangelist. One of the best grassroots startup product evangelist blogs I’ve read is Groove. The founder shares everything he and the team learned on the road to solving meaningful problems and doing so profitably. Very transparent and powerful for growing happy, engaged customers. How would you utilize your knowledge of Product Management to set metrics that will hit the mission of startup or enterprise? Aside from core metrics, Product Managers and marketers should know these 15 Core Metrics. It’s important to understand the metrics unique to your solution that drive and/or are indicators of incremental adoption and renewal.